The Department of Internal Medicine and Cardiology at the PAN Clinic on Neumarkt covers the whole range of general, conservative and interventional cardiology, as well as internal medicine. The head of the department is Prof. Dr. med. C. A. Schneider. A detailed diagnosis is followed by the determination if the patient’s complaints (heart arrhythmia, chest pains or shortness of breath) are harmless or if they indicate the presence of serious diseases. Such a diagnosis requires experience and a comprehensive approach in order to see and assess all symptoms. The department has state-of-the-art equipment and an experienced team of doctors who develop individual treatment plans for each patient. Depending on the proven diagnosis, there is offered an individual treatment course: the therapy is combined with the well-practiced methods from conventional medicine, as well as with the new approaches and measures in nutrition and sports medicine. Prof. Dr. med. 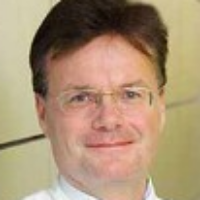 Christian A. Schneider studied medicine at the University of Frankfurt, where he received his doctorate on the treatment of acute myocardial infarction in 1989. After a research stay as a scholarship holder of the Boehringer Ingelheim grant for basic research in Houston Texas, USA, since 1990, he has been working at the Heart Center of the University of Cologne, Clinic III for Internal Medicine (Cardiology, Pulmonology, Angiology, Internal Intensive Care Medicine). He is a specialist in Internal Medicine, Cardiology, and Nutritional Medicine. Since 2004, he has been working as senior physician and head of the Department of Cardiology at the Heart Center. In 2008 he was appointed associate professor of the Medical Faculty of the University of Cologne. Prof. Schneider is Medical Director of the Heart Network Cologne, which is considered the leading care project for patients with heart failure in Cologne and surrounding areas. He is the author of numerous publications in the national and international medical press and a popular speaker and seminar leader. The focus of his work is the diagnosis and treatment of atherosclerosis (for example, coronary heart disease, and peripheral vascular disease), heart failure, hypertension and cardiac arrhythmias. Two goals are pursued: improving the quality of life and improving the individual prognosis of patients. Improvement of the prognosis in patients with vascular diseases is achieved by an intensive risk factor modulating therapy intended to stop the process of atherosclerosis ("healing of atherosclerosis"). Another focus is integrative, personalized preventive medicine based on scientific data. This multidisciplinary approach allows to develop personalized treatment concepts based on individual patient characteristics. Department of Internal Medicine and Cardiology.